All of our staff are accredited members of the Private Security Industry Regulatory Association (P.S.I.R.A). Our Armed Reaction Officers have undertaken advanced driving courses and extensive training and are therefore qualified to deal with any security emergency. 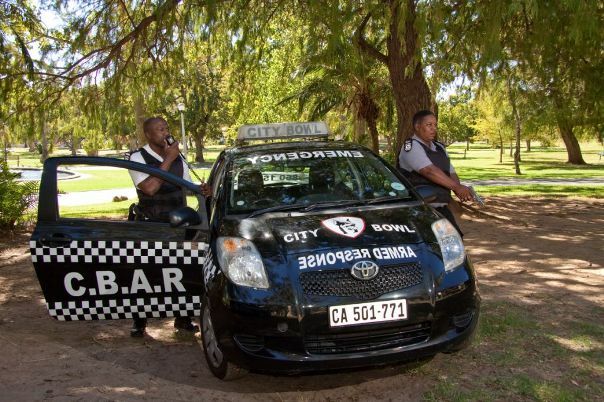 They are in possession of all the necessary equipment, as required by (S.A.I.D.S.A) South African Intruder Detection Services Association, such as; bullet proof vest; two-way radio; first aid kit; pepper spray and fire-arms. Our vehicles have state of the art tracking systems. Our fleet of vehicles have state of the art live tracking systems that provide our control room staff with an exact position of each vehicle. This facilitates a fast dispatch, with the closest vehicle to the activation being sent, reducing the response time dramatically. Due to the fact that our Head Office is based in the centre of our operational area, our vehicles do not leave the area on shift change as is the case with other security companies.